Catch, Cam Wedge Small. Small Cam Lock. 1-3/4” by 1 3/4 at the widest section. Each. 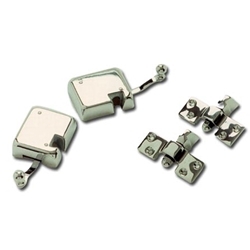 Original type door latches with striker plates. Chrome, silent-travel type. Set of two. One right handed and one left handed. 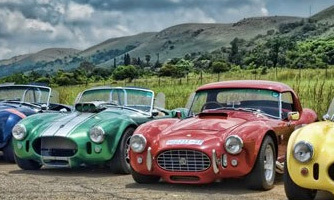 Standard on 289 Cobra and 427 Cobra. Set. Locking Handle Set for your Hood and Trunk. Includes two chrome hood handles and one trunk handle with two locking keys. OEM Type Used on Cobra 289 and Cobra 427. Set of three. Hinges, Trunk Pair of Chrome Trunk Hinges. Overall length of 5 inches. Latch, square bolt, flat type Used on 289 Cobra and 427 Cobra. Each. Prop Rod, Hood. Original type hood prop rod. Made of stainless steel. Each. Safety catch type prop rod. It can be used for hood or trunk. Original color plating. 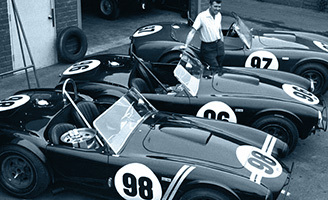 According to the car needs to be riveted or bolted Used on Shelby Cobra. L- 18". Trunk Latch. Hooked bolt, bridge type. Used on Cobra 289 and Cobra 427. Each. Locking trunk handle. Comes with handle and two keys. Each. Used on Cobra 289 and Cobra 427. Each. Copyright © 2015 FINISHLINE ACCESSORIES. All Rights Reserved. 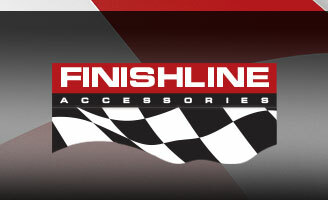 Finish Line Accessories will be closed for maintenance from Wednesday July 4 to Wednesday July 11. While you can still place orders online during that time orders will begin getting filled and shipped as of Wednesday July 11. If you have any questions please email sales@finishlineaccessories.com and I will do my best to respond to them in a timely manner.